March is super weird this year. Usually my spring break is the first 2 weeks of March, but this time around the school board scheduled it to be the last two weeks of the month so now here I am at the end of March yet it feels like it's right smack dab in the middle. St. Patrick's Day has already past, the official start of Spring has already past and soccer season is already in full swing so I need to seriously adjust my mental clock because those are still on my mental calendar as things that haven't happened yet. Despite the fact that I seem seriously confused about the exact time of year here are the Instagram, Twitter, and Vine posts I"v been loving this month because it is in fact the end of March and April is right around the corner. This is insane. My landlord won't accept "great exposure" as rent when we all know it's a perfectly acceptable alternative to payment. 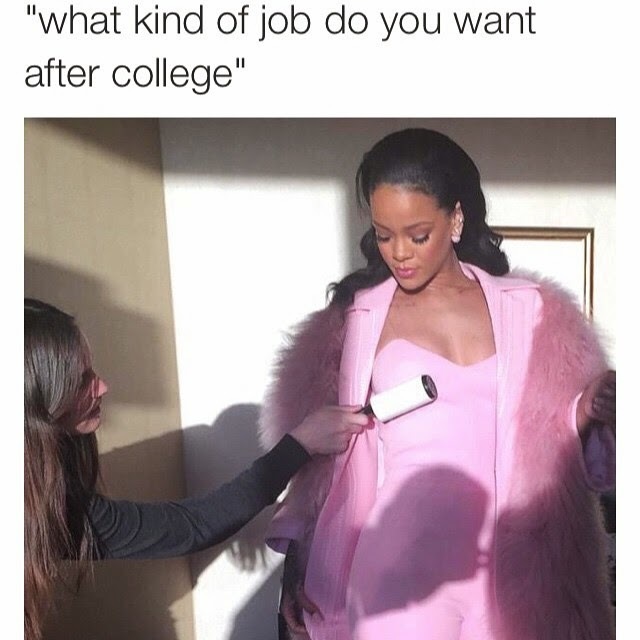 @TrustFundBeauty "The kind of job any college educated woman would want"